Joy Gendusa is an entrepreneur, business owner, author, established speaker and philanthropist. 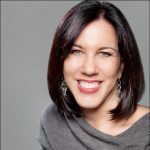 She is the Founder and CEO of PostcardMania, a rapidly expanding marketing company specializing in lead generation for small to large-sized businesses. With only a phone, a computer and postcard marketing, Joy grew PostcardMania from a startup into an industry leader generating more than $49 million in annual revenue and employing more than 200 people in the Tampa Bay, FL area. As a business leader, Joy has been awarded the Tampa Bay CEO of the Year, Entrepreneur Business Woman of the Year in Tampa Bay, and twice been an Ernst and Young Entrepreneur of the Year finalist. Her company, PostcardMania, has been named to the Inc. 500 and the Inc. 5000 lists and has helped over 73,000 small businesses with their marketing.